I recently had a chat with an acquaintance. She said “well, being able to eat vegetarian nowadays is a privilege”. “What?? What makes you say that?” I replied. 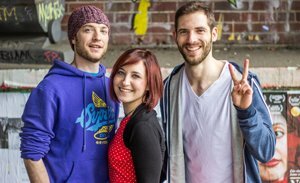 After chatting a little longer about living vegetarian on a budget, I realized she assumed being vegetarian also means buying only organic foods, buying stuff mostly at Whole Foods and eating meals bursting with all sorts of mystical superfoods. Of course that makes every grocery bill explode! Truth is that a vegetarian lifestyle can actually be fairly cheap, especially because you cut out the meat, which is a big cost factor. Still, having trouble cutting the grocery bill? 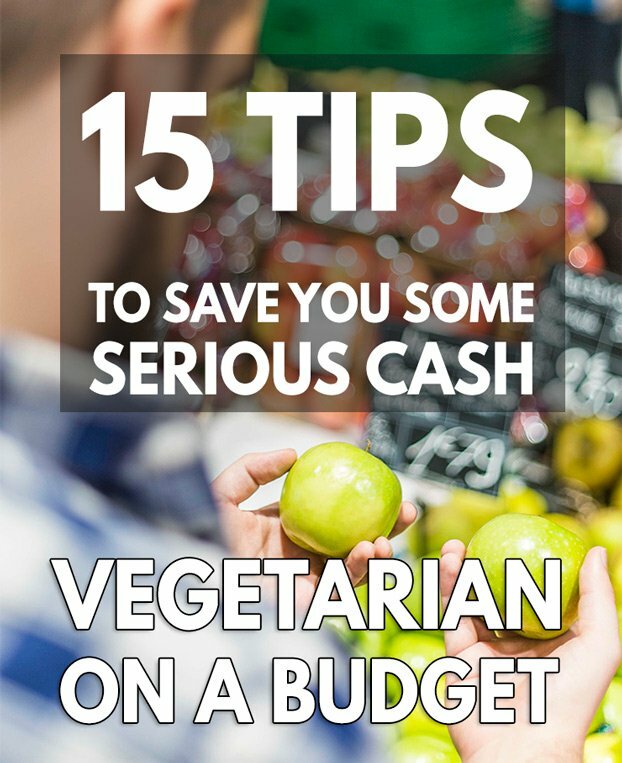 Ok then, here is the most extensive list of tips on saving money by eating vegetarian. 1. Buy groceries at cheaper supermarkets. Simple advice, I know. But if you haven’t yet, make sure to give Aldi, Wegmans or Trader Joe’s a chance. See this list from consumer reports and this cool comparison by popsugar for the cheapest supermarkets in the US. 2. Buy in bulk online. This one is recommendable to everybody who knows to plan ahead a little. You always need long lasting staples like chickpeas, black beans, rolled oats, soy milk, nuts and so on, right? These are perfect to buy online since Amazon and Co. mostly just ship foods in larger quantities. 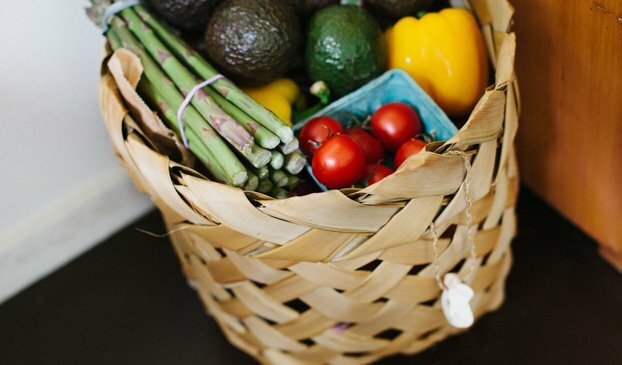 Many prices are already better than in the grocery stores and you have the convenience of getting the stuff delivered to your home. How about 6 cans of my favourite black beans for example? 3. Shop with coupons or pay attention to sales. Yes, sometimes it can be annoying to keep track of all those coupons. Still some of them are really worth trying. Check your local newspaper for coupons/sales or have a look online. Going to Whole Foods? Check out their coupon/sales section first. There are also websites that collect all sorts of coupons for you: try Grocery Coupon Network, coupons.com or Living Rich with Coupons. 4. Go to the Asian Store. We vegetarians often need things like coconut milk, good quality tofu, and tasty spices. A well stocked Asian Store has all this usually for prices far better than Western supermarkets. I was shocked when I found out how much cheaper the Asia Store around the corner sells spices in comparison to my “regular supermarket”. 5. Don’t buy everything organic. I know, even though the budget is tight you want the best for you and your family, but some produce is absolutely fine when not bought organic. Have a look at the list of the dirty dozen and clean 15 here. Less organic produce = less painful for your wallet. 6. Try out Farm Shares (Community Supported Agriculture). A farm share basically works like this: you sign up and pay at the beginning of the growing season for a share of the expected harvest. When the time arrives you periodically receive shares of the produce. Not the most convenient model to save money, but you support local farmers and you get mostly organic produce. Check out Local Harvest and Just Food to find such farm shares. 7. Go to Farmer’s Markets. This budget tip takes the same line as the one before. You can easily search for your local Farmers Market via Google. Sneaky tip: go there just before closing when everybody desperately wants to knock off their produce. You might make one or another awesome bargains and you’ll probably become known as a suave negotiator. 8. Make your own nut butters. Vegetarians on a budget will know that almond butter is pretty expensive when store bought. 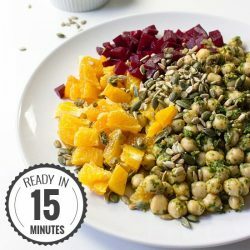 With a food processor you can easily make your own for a much lower price. Just buy the nuts, add some maple syrup, water and there you go. See our peanut butter recipe for example – also much healthier than the store bought stuff! 9. Cook your own beans. You can get around four cans of beans out of a bag of dry beans saving you some serious money. The downside is you have to take your time prepping them. Once you’ve made a batch of beans or chickpeas, freeze and label them in small to medium sized containers. 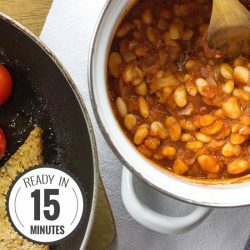 FYI: these are probably the best instructions on how to prep beans. 10. Plan your meals. 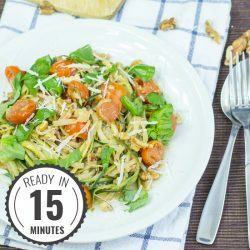 To reduce time, stress and effort it clearly makes sense to know what meals you’ll have for the week. By doing that, usually going once a week to the grocery store wil be enough. No quick jump to the 7-11 anymore. More greens in your pocket. 11. Prep your veg and grains. This one takes the same line as the tips before. Just cook some more rice and refrigerate it then you can quickly put a recipe together in the hour of need. You could even pre-slice some veggies as well. 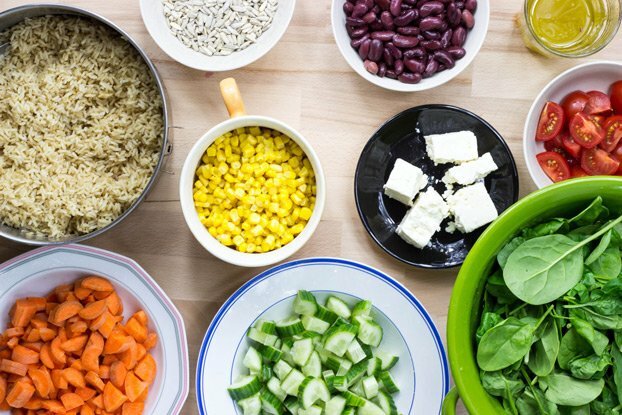 Check out our “How to Make a Buddha Bowl” post for some inspiration. The idea behind it? Once you know you have food waiting for you at home you’ll be less tempted to eat out or order a takeaway. Money saved. 12. Always make extra. This has two benefits. First, if you have leftovers you can take them to work instead of going out to buy lunch. Second, often times ingredients like a bunch of herbs, bean sprouts or an opened pack of tofu go bad quickly. Using it up right away and freezing the leftovers is a nice way to eliminate food waste. Like killing two big birds with one stone – even though we vegetarians would never do that. 13. Know your pantry and fridge. If you know what you have at home, you won’t buy double once in the grocery store. Simple. Plus, you can let your creativity flow by making some “eat before bad” meals. Surely you’ll find ingredients that are about to go bad. Use them for your next meal. Less food waste, more money in your pocket, happy vegetarian. 14. Don’t follow recipes exactly. Some recipes call for chia seeds, cashew nuts, almond milk, some goji berries, maple syrup, cardamom powder and puff you just spent your entire salary on a breakfast (a tasty one though). Some recipes call for expensive ingredients, but often times they are not crucial, especially when it comes to garnish and spices. Feel free to leave them out or substitute. 15. Grow your own herbs. This is a tricky one. Usually the store bought basil plants and alike won’t survive past a couple of days, because they’re not produced to survive. But with daylight, proper soil, herbs from the gardening store and patience, you’ll be able to avoid buying expensive fresh herbs from the grocery store so soon. Alrighty, these are already a ton of tips on how to cut your grocery bill. Do you have any money saving tips you’d like to share? Just write them into the comment section. And last but not least, many people in countries from the western world spend around 15% of their monthly income on food (see here). That is almost nothing compared to what people pay in most developing countries. In other words we spend quite a lot of our cash on luxury (netflix, latest sneakers, smartphones, fancy cars, etc.). Our health should be important enough for us to invest into good quality food. Plus your meals will taste better too! Great tips! These can go for any type of food buyer and family! This is great information! I will share this on my FB page. Those are great tips and reminders Howie. Sharing this one! Ahh thank you Troy! That’s really, really great to hear! Very pleased we can help your daughter. Hope you found a recipe or two that you like as well ;). Thanks for writing! now do it on a box from the food pantry. do it when that food box contains some frozen meat, a box of acorn squash, watermelon, and a big bag of spicy Cheetos. ( I threw out the meat.) do it when your food budget for the day is 2$ and a hamburger at mcdonalds cost 1$. do it when you’re a family of 5 with 2 adults working 2 jobs each, 3 kids under 10, paying for childcare. do it when you haven’t had a job in 2 months and someone gives you a bunch of food for free that includes a big bag of frozen unlabeled meat products. (I waited a long time but when the other stuff ran out, this time I ate them) This is what your friend means when she says privilege. It sounds pretty damn tough, Kimberley. Thanks for sharing your experiences. Do you have any advice for readers in similar situations?